SOSV, a multi-stage venture firm that was founded as the personal investing vehicle of entrepreneur Sean O’Sullivan after his company went public in 1994, then re-launched as a traditional venture firm with outside backers in 2015, has raised $218 million for its third fund. The vehicle has a $250 million target that SOSV expect to meet by year end, but already, it’s substantially larger than the firm’s previous fund, which closed with $150 million. SOSV is best-known for the numerous accelerators it has created and oversees, including hardware-focused HAX, and IndieBio for life sciences startups. Yesterday, we were in touch with SOSV partner Daniel Eichner — who’s in charge of raising capital for the outfit, as well as introducing its portfolio companies to potential future investors — to learn more what else is new at its eight offices around the world, including in Cork, Ireland; Princeton, N.J.; New York; San Francisco; London; Shenzhen; Shanghai; and Tapei. Among the many things we learned: the firm now has eight senior partners who ultimately decide where capital gets invested, and a whopping 110 people across the U.S., Europe and China, including support staff that to help its startups go from lab to market. The firm has also earned some bragging rights, including as the lead investor in the electric bike company Jump Bikes, acquired last year for an undisclosed amount to Uber. It also some highly valued companies in its portfolio currently, including the 3D printing “unicorn” FormLabs; the peer-to-peer ride-sharing company GetAround, which just acquired a French company yesterday to extend its reach into Europe; and Makeblock, a Shenzhen, China-based company that sells robot kits for kids and most recently raised $44 million in Series C funding. The firm hasn’t shied from some more ambitious bets, either including one on BitMEX, a crypto exchange based in Hong Kong that’s focused on cryptoderivatives and in which SOSV is the only institutional investor. Most of the founders it backs — 80 percent, says Eichner — are first-timers, though “many have years and sometimes decades of work experience,” he adds. As for the size of the checks SOSV writes, its accelerator deals are standardized for each program, but the smallest check is for $100,000 for software startups or $250,000 for hardware and life sciences startups. Meanwhile, the most it will invest is up to $2 million, across multiple rounds, with its biggest bet to date being SyntheX, a designer therapeutics company in which SOSV owns a 20 percent stake. Eichner explains that SOSV aims for between 8 percent and 16 percent ownership at the accelerator phase, then looks to either establish or maintain a 15 percent stake in the top 20 percent to 30 percent of its companies. Despite its many far-flung offices, we asked if SOSV tends to support more founders in the U.S. than elsewhere, or vice versa. Eichner says that about half of SOSV’s portfolio companies are in North America, with another quarter in Asia, and the rest split between Europe and the rest of the world. Pictured above: Firm founder Sean O’Sullivan. Amazon is always looking for ways to increase the options it offers developers in AWS, and to that end, today it announced a bunch of new AMD EPYC-powered T3a instances. These were originally announced at the end of last year at re:Invent, AWS’s annual customer conference. Today’s announcement is about making these chips generally available. They have been designed for a specific type of burstable workload, where you might not always need a sustained amount of compute power. “These instances deliver burstable, cost-effective performance and are a great fit for workloads that do not need high sustained compute power but experience temporary spikes in usage. You get a generous and assured baseline amount of processing power and the ability to transparently scale up to full core performance when you need more processing power, for as long as necessary,” AWS’s Jeff Barr wrote in a blog post. These instances are build on the AWS Nitro System, Amazon’s custom networking interface hardware that the company has been working on for the last several years. The primary components of this system include the Nitro Card I/O Acceleration, Nitro Security Chip and the Nitro Hypervisor. Today’s release comes on top of the announcement last year that the company would be releasing EC2 instances powered by Arm-based AWS Graviton Processors, another option for developers, who are looking for a solution for scale-out workloads. It also comes on the heels of last month’s announcement that it was releasing EC2 M5 and R5 instances, which use lower-cost AMD chips. These are also built on top of the Nitro System. The EPCY processors are available starting today in seven sizes in your choice of spot instances, reserved instances or on-demand, as needed. They are available in US East in northern Virginia, US West in Oregon, Europe in ireland, US East in Ohio and Asia-Pacific in Singapore. If you’re a student at UC Berkeley, the diminutive rolling robots from Kiwi are probably a familiar sight by now, trundling along with a burrito inside to deliver to a dorm or apartment building. Now students at a dozen more campuses will be able to join this great, lazy future of robotic delivery as Kiwi expands to them with a clever student-run model. Speaking at TechCrunch’s Robotics/AI Session at the Berkeley campus, Kiwi’s Felipe Chavez and Sasha Iatsenia discussed the success of their burgeoning business and the way they planned to take it national. In case you’re not aware of the Kiwi model, it’s basically this: When you place an order online with a participating restaurant, you have the option of delivery via Kiwi. If you so choose, one of the company’s fleet of knee-high robots with insulated, locking storage compartments will swing by the place, your order is put within, and it brings it to your front door (or as close as it can reasonably get). You can even watch the last bit live from the robot’s perspective as it rolls up to your place. The robots are what Kiwi calls “semi-autonomous.” This means that although they can navigate most sidewalks and avoid pedestrians, each has a human monitoring it and setting waypoints for it to follow, on average every five seconds. Iatsenia told me that they’d tried going full autonomous and that it worked… most of the time. But most of the time isn’t good enough for a commercial service, so they’ve got humans in the loop. They’re working on improving autonomy but for now this is how it is. That the robots are being controlled in some fashion by a team of people in Colombia (where the co-founders hail from) does take a considerable amount of the futurism out of this endeavor, but on reflection it’s kind of a natural evolution of the existing delivery infrastructure. After all, someone has to drive the car that brings you your food as well. And in reality most AI is operated or informed directly or indirectly by actual people. That those drivers are in South America operating multiple vehicles at a time is a technological advance over your average delivery vehicle — though it must be said that there is an unsavory air of offshoring labor to save money on wages. That said, few people shed tears over the wages earned by the Chinese assemblers who put together our smartphones and laptops, or the garbage pickers who separate your poorly sorted recycling. The global labor economy is a complicated one, and the company is making jobs in the place it was at least partly born. Whatever the method, Kiwi has traction: it’s done more than 50,000 deliveries and the model seems to have proven itself. Customers are happy, they get stuff delivered more than ever once they get the app, and there are fewer and fewer incidents where a robot is kicked over or, you know, catches on fire. Notably, the founders said on stage, the community has really adopted the little vehicles, and should one overturn or be otherwise interfered with, it’s often set on its way soon after by a passerby. Iatsenia and Chavez think the model is ready to push out to other campuses, where a similar effort will have to take place — but rather than do it themselves by raising millions and hiring staff all over the country, they’re trusting the robotics-loving student groups at other universities to help out. For a small and low-cash startup like Kiwi, it would be risky to overextend by taking on a major round and using that to scale up. They started as robotics enthusiasts looking to bring something like this to their campus, so why can’t they help others do the same? What they’re doing is reaching out to robotics clubs and student groups at those colleges to see who wants to take partial ownership of Kiwi administration out there. Maintenance and deployment would still be handled by Berkeley students, but the student clubs would go through a certification process and then do the local work, like a capsized bot and on-site issues with customers and restaurants. So far they’ve sent out 40 robots to the 12 campuses listed and will be rolling out operations as the programs move forward on their own time. If you’re not one of the unis listed, don’t worry — if this goes the way Kiwi plans, it sounds like you can expect further expansion soon. Social media-fuelled anti-vaxxer propaganda is the latest online harm the U.K. government is targeting. Speaking on BBC Radio 4’s Today program this morning health secretary Matt Hancock said he will meet with representatives from social media platforms on Monday to pressure them into doing more to prevent false information about the safety of vaccinations from being amplified by their platforms. “I’m seeing them on Monday to require that they do more to take down wrong — well lies essentially — that are promoted on social media about the impact of vaccination,” he said, when asked about a warning by a U.K. public health body about the risk of a public health emergency being caused by an increase in the number of British children who have not received the measles vaccination. The head of NHS England also warned last month about anti-vaccination messages gaining traction on social media. Hancock, who between 2016 and 2018 served as the U.K.’s digital minister, prior to taking over the health brief, held a similar meeting with the boss of Instagram earlier this year. That followed a public outcry over suicide content spreading on Instagram after a British schoolgirl was reported to have been encouraged to killed herself by viewing graphic content on the Facebook -owned platform. Instagram subsequently announced a policy change saying it would remove graphic images of self harm and demote non-graphic self-harm images so they don’t show up in searches, relevant hashtags or the explore tab. But it remains to be seen whether platforms will be as immediately responsive to amped up political pressure to scrub anti-vaccination content entirely given the level of support this kind of misinformation can attract among social media users. Earlier this year Facebook said it would downrank anti-vax content in the News Feed and hide it on Instagram in an effort to minimize the spread of vaccination misinformation. It also said it would point users toward “authoritative” vaccine-related information — i.e. information that’s been corroborated by the health and scientific establishment. But deleting such content entirely was not part of Facebook’s announced strategy. We’ve reached out to Facebook for any response to Hancock’s comments. In the longer term social media platforms operating in the U.K. could face laws that require them to remove content deemed to pose a risk to public health if ordered to by a dedicated regulator, as a result of a wide-ranging government plan to tackle a range of online harms. Earlier this month the U.K. government set out a broad policy plan for regulating online harms. The Online Harms Whitepaper proposes to put a mandatory duty of care on platforms to take reasonable steps to protect users from a range of harms — including those linked to the spread of disinformation. It also proposes a dedicated, overarching regulator to oversee internet companies to ensure they meet their responsibilities. The government is currently running a public consultation on the proposals, which ends July 1, after which it says it will set out any next actions as it works on developing draft legislation. Huawei’s controversial status in North America and Europe stems from a lot of different factors. At the heart of most of them, however, is the hardware maker’s alleged ties to the Chinese government. The notion of government control has been enough to cause something approaching an outright ban on its products in the States, over worries that handsets and networking equipment could be used to spy on the U.S. government and its citizens. In China, a limited liability company can have up to 50 registered shareholders. A non-listed stock corporation can have up to 200 registered shareholders. At Huawei, we have way more than 50 or 200 shareholding employees, so they cannot be registered as Huawei’s shareholders. This is true for Huawei as a limited liability company. Even if we make our company a stock corporation, it would still be impossible to register all our shareholding employees as shareholders. Because of this, the Union acts as a platform through which our employees can hold shares. Jiang says the trade union involves itself with improving the physical and mental well-being of its staff, from helping to pay for medical expenses to organizing a variety of clubs, including basketball and badminton. A massive penalty hangs over Facebook’s head, but it otherwise had a very strong Q1 earnings report. The company reached 2.38 billion monthly users, up 2.5 percent from the previous quarter, and it pulled in $15.08 billion in revenue. Facebook recorded earnings per share were significantly lower than expected, but that’s because it set aside $3 billion to cover a potential FTC fine that it’s still resolving. In a feat that could eventually unlock the possibility of speech for people with severe medical conditions, scientists have successfully recreated the speech of healthy subjects by tapping directly into their brains. Verizon (which owns TechCrunch) just revealed a one-two punch: opening up preorders for the Galaxy S10 5G and announcing a list of 20 cities that will be getting the technology before year’s end. Microsoft Azure had a pretty good quarter, with revenue growing 73 percent. That’s a bit lower than last quarter’s results, but only by a fraction. The company announced a new email and calendar bridge that enables team members who might not have made the leap to Slack to still be kept in the loop. Alongside international partners, NASA’s Planetary Defense Coordination Office will participate in a “tabletop exercise” that will simulate a scenario for how to respond to an asteroid on an impact trajectory with Earth. The latest damning assessment of Facebook’s trampling of user privacy comes from the Canadian and Columbia privacy commissioners — which have just published the results of an investigation kicked off in the wake of the Cambridge Analytica data misuse scandal last year. They found the social network company committed serious contraventions of local laws and failed generally to take responsibility for protecting the personal information of Canadians. Facebook has disputed the findings and refused to implement the watchdogs’ recommendations — including refusing to voluntarily submit to audits of its privacy policies and practices over the next five years. The Office of the Privacy Commissioner of Canada said it therefore plans to take Facebook to Federal Court to seek an order to force it the company to correct its deficient privacy practices. Both watchdogs have also called for local privacy laws to be beefed up so that regulators have stronger sanctioning powers to protect the public’s interest. “Facebook’s refusal to act responsibly is deeply troubling given the vast amount of sensitive personal information users have entrusted to this company,” said Daniel Therrien, privacy commissioner of Canada, in a statement. “Their privacy framework was empty, and their vague terms were so elastic that they were not meaningful for privacy protection. “It is untenable that organizations are allowed to reject my office’s legal findings as mere opinions,” added Therrien. We’ve reached out to Facebook for comment. The privacy watchdogs combined their efforts to investigate Facebook and Cambridge Analytica-linked data company Aggregate IQ last year — setting out to determine whether the companies had complied with local privacy laws. More than 600,000 Canadians had their data extracted from Facebook via an app whose developer was working with Cambridge Analytica to try to build profiles of U.S. voters. Among the privacy-related deficiencies the two watchdogs are attaching to Facebook’s business are what they dub “superficial and ineffective safeguards” of user data that enabled unauthorized access by third party apps on its platform; a failure to obtain meaningful consent for the use of users’ friends’ data; a lack of proper oversight of the privacy practices of apps using Facebook’s platform, with a reliance on contractual terms and “wholly inadequate” monitoring of compliance. “A basic principle of privacy laws is that organizations are responsible for the personal information under their control. Instead, Facebook attempted to shift responsibility for protecting personal information to the apps on its platform, as well as to users themselves,” the watchdogs write, further accusing Facebook of an overall lack of responsibility for the personal data of users. They also point out that their findings are of particular concern given an earlier 2009 investigation of Facebook by the federal commissioner’s office — which found similar contraventions with respect to Facebook seeking overly broad, uninformed consent for disclosures of personal information to third-party apps, as well as inadequate monitoring to protect against unauthorized data access by apps. “If Facebook had implemented the 2009 investigation’s recommendations meaningfully, the risk of unauthorized access and use of Canadians’ personal information by third party apps could have been avoided or significantly mitigated,” they add. The commissioners are calling for not only the power to levy financial penalties on companies that break privacy laws — as equivalent watchdogs in Europe already can — but also broader authority to inspect the practices of organizations to independently confirm privacy laws are being respected. “This measure would be in alignment with the powers that exist in the U.K. and several other countries,” they note. “Giving the federal Commissioner order-making powers would also ensure that his findings and remedial measures are binding on organizations that refuse to comply with the law,” they add. The UK’s data protection watchdog levied the maximum possible fine on Facebook last year — although it’s ‘just’ £500,000 (and Facebook is appealing, claiming there’s no evidence that UK users’ data was misused). Earlier this year a U.K. parliamentary committee which spend multiple months last year investigating Facebook and Cambridge Analytica, as part of a wider inquiry into online disinformation, called for Facebook’s use of user data to be investigated by the privacy watchdog. The committee also urged the UK’s Competition and Markets Authority to undertake an antitrust probe Facebook’s business practices, and recommended that the social media ad market face a comprehensive audit to address concerns about its lack of transparency. Long before there was an autonomous vehicle industry, there was Project Chauffeur — a secret endeavor staffed by about a dozen engineers and housed under Google’s moonshot factory X. That venture, popularly known as the Google self-driving car project, would eventually graduate from its project status to become a standalone company called Waymo in 2016 — along the way helping launch an entire industry and numerous careers. And Waymo’s CTO and VP of engineering Dmitri Dolgov has been there for the entire ride. We’re excited to announce that Dolgov will participate in TechCrunch’s inaugural TC Sessions: Mobility, a one-day event on July 10, 2019 in San Jose, Calif., that is centered around the future of mobility and transportation. We’ll talk to Dolgov about those early days, how the company has evolved and where it’s headed next as well as dig into the tech behind self-driving cars. TC Sessions: Mobility will present a day of programming with the best and brightest founders, investors and technologists who are determined to invent a future Henry Ford might never have imagined. In case you missed it some of our recently announced speakers include, Nuro co-founder and CEO Dave Ferguson, Scoot SVP of Product Katie DeWitt, Co-founder and CEO of Voyage Oliver Cameron and co-founder, president and CEO of Mobileye Amnon Shashua — who also is a senior vice president at Intel. And there are more. 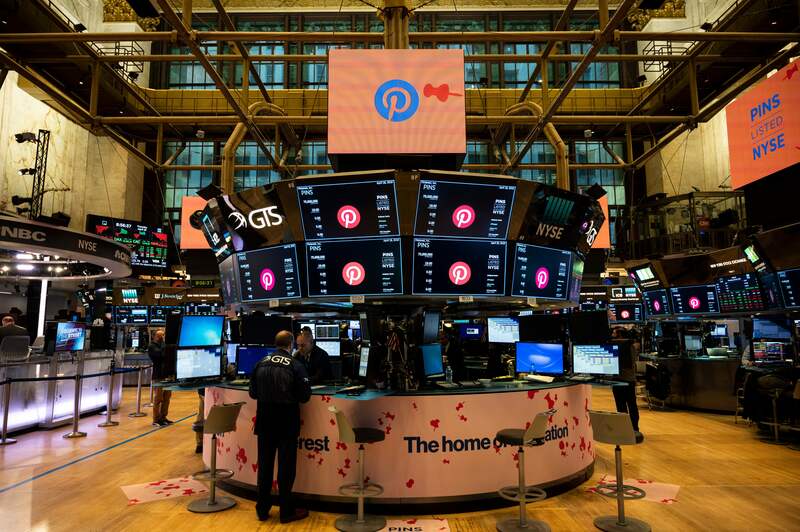 A couple of weeks ago, when Pinterest filed its S-1, its AWS bills raised eyebrows and questions about cheaper alternatives for startups. Render is a small startup with a big idea to provide infrastructure services for developers, who might be looking for a cheaper and easier alternative to bigger more familiar names. The company launched today with broad ambition and $2.25 million in seed funding from General Catalyst and the South Park Common Fund. As developers work with increasingly complex sets of technologies, it often requires teams of people to launch an application and keep it running.”What we’re doing at Render is making it incredibly easy and quick for application developers to deploy their applications online without knowledge of servers, and without having a DevOps person with them,” Anurag Goel, founder and CEO told TechCrunch. Steve Herrod, managing director at General Catalyst and former CTO at VMware, knows a thing or two about infrastructure and he sees a company that could provide a viable alternative to the established players in this space. “Render is building the logical next step to cloud infrastructure — making it disappear. Application developers clearly want to focus on the functionality and usability of their work, and not on server setup, deployment and scaling. Render is enabling exactly this focus and that’s why early developer users love it so much,” he said in a statement. The company is going after companies like Salesforce Heroku on the platform side and AWS, Azure, GCP and even DigitalOcean on the infrastructure side. It is not an easy market to ease your way into, but Goel believes he has come up with a solution that is cost-effective and easy to use, and that could help separate him from these established brands. The complexity of today’s application environment requires teams of highly trained engineers to implement. While a company like Harness is trying to reduce that complexity by providing Continuous Delivery as a Service, Render is going at it from a different angle by providing a platform and infrastructure to launch and manage applications more easily. “We’re focused, first and foremost, on developer experience and ease of use. And we’ve seen over and over again, that when you look at AWS and Azure and GCP, they force you to build out these large DevOps teams that take care of all the infrastructure needs,” he said. He believes part of the problem with the larger company approaches is that they put this expensive engineering layer between the developer and the application they created, and Render brings the developer closer to the process. The company got the funding last year, but is announcing now because it wasn’t really ready to launch at that point, and didn’t want to announce the funding before it had a viable product. Goel got his start as an early employee at Stripe, a company that made it simple for developers to add payment infrastructure to an application. He is hoping to bring that same level of simplicity to application hosting. Adobe today used the OFFF festival in Barcelona to show off an experimental feature for its Illustrator vector drawing application. The basic idea here is to allow Illustrator users to easily experiment with color palettes based on photos and other images. That makes it incredibly easy to create new variations of an existing drawing, based on real-life color palettes from an image. For now, though, this is only what Adobe likes to call a ‘sneak,’ that is, an experimental feature that the company plans to bring to its applications but that hasn’t quite reached the production stage yet. Some of these feature eventually become part of their respective Creative Cloud app, some don’t. This experiment, however, seems pretty straightforward, so I would be surprised if it didn’t end up in one of the next versions of Illustrator. Extracting a color palette isn’t all that hard, after all. Indeed, with Adobe Color, the company already offers a stand-alone tool that can do just this. The trick then is to match those palettes to the existing drawing. It’s hard to tell how well that currently works, but at least in Adobe’s demos, it’s a pretty seamless experience.